I learned that November Rain is more than just a Guns ‘n’ Roses song as I aquaplaned across the M6 during a torrential downpour at 6 in the morning – myself and 4 colleagues were on the way to the second MageTitans event in Manchester. 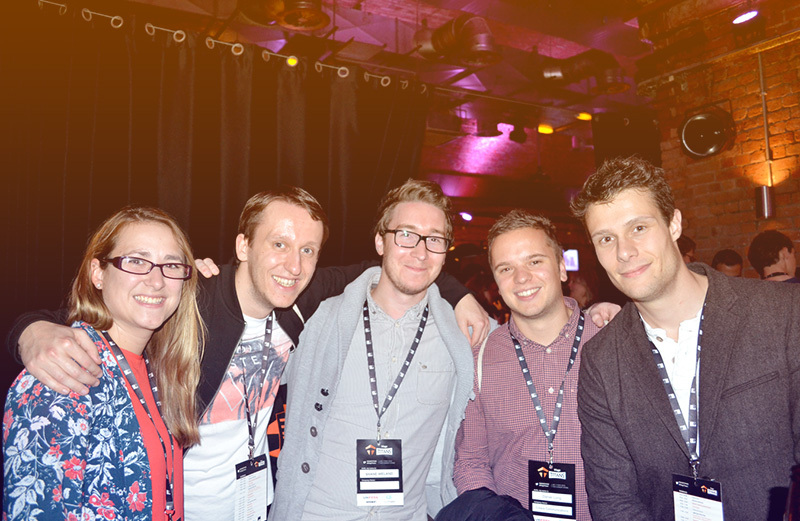 As before, the guys at Space48 did a great job hosting and organising the event that attracts Magento developers from across Europe and beyond, so I want to start by thanking and congratulating Jon and his team on putting on a great event. 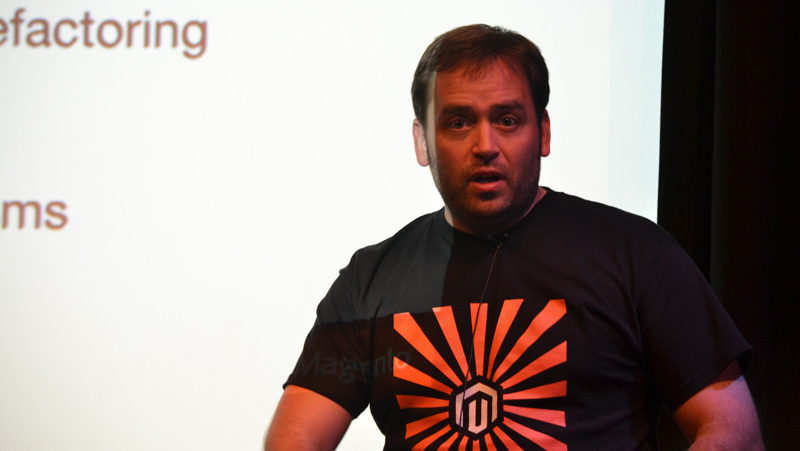 The best thing about MageTitans is that they always get top speakers from the world of Magento, people that are respected and liked by everyone in the Magento community. I’m pretty sure that if you were to do a Mt Rushmore of Magento developers, Ben and Vinai would be Abe Lincoln and Thomas Jefferson. As with any conference I attend, I have dumped my thoughts and key learnings from the day in chronological order. Enjoy! 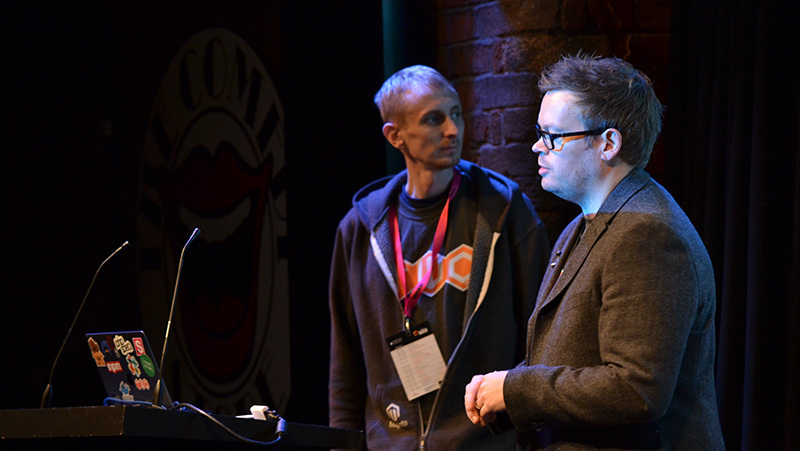 The first talk was delivered by Alistair Stead and James Cowie of Session Digital. They spoke about the importance and significance of developing your customisations and modules in as much of a ‘composable’ way as possible. As a developer myself I know how easy it is to be only focused on the code you’re writing doing its job. With Magento 2’s introduction of interfaces and service contracts you can develop modules with intense levels of reusability. The question you may ask yourself is “could this Magento 2 functionality be easily ported into a Symfony project?”. 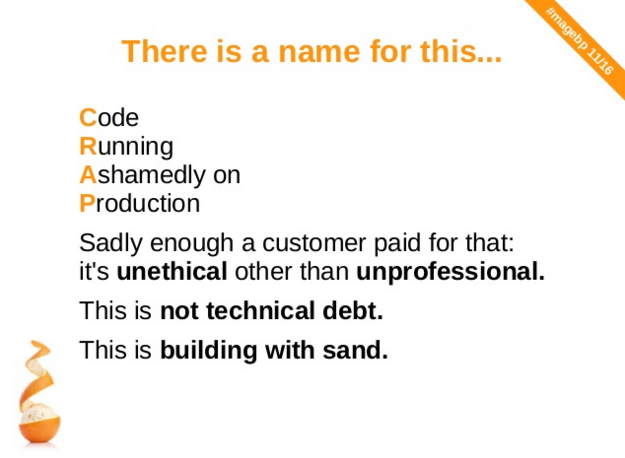 It’s about making your code more holistic and “DRY”er. Vinai Kopp took to the stage once again, with a handlebar moustache that would make Hulk Hogan jealous, to take a detailed look at several different areas of PHP coding best practice. He promoted simplicity over volume of code (which I 100% agree with) and gave an interesting insight into how code can be refactored to create encapsulation and immutable objects. In the same style as last year’s segment 4 speakers had the chance to give 10 minute talks on a variety of subjects. Front-End From Scratch – Returning speaker Yousef Cisco from Ampersand kicked off the session with a good talk about how to optimise your frontend code in Magento. He mentioned that you should NOT use Magento’s in-built JS/CSS merging and instead use Grunt to run a variety of tasks, including finding all translations within your template – smart idea! He also introduced me to Mustache Templates for client and server side rendering and a cool script called BaseBlocker that prevents templates from defaulting back to base/default. Cache Configuration – Paul Partington from CTI Digital explained to the audience how the configuration cache is created by Magento and how the file can become a significant size when custom modules are added. He also highlighted the importance of a cache policy and provided a link to their Cache Lock module, which keeps cache creation to a single request and prevents module updates from running multiple times. BDD & TDD in an Agile Environment – Sarah Alhawi from Sage Pay described the Test-Driven and Behaviour-Driven fundamentals of how Sage Pay’s agile methodology works. 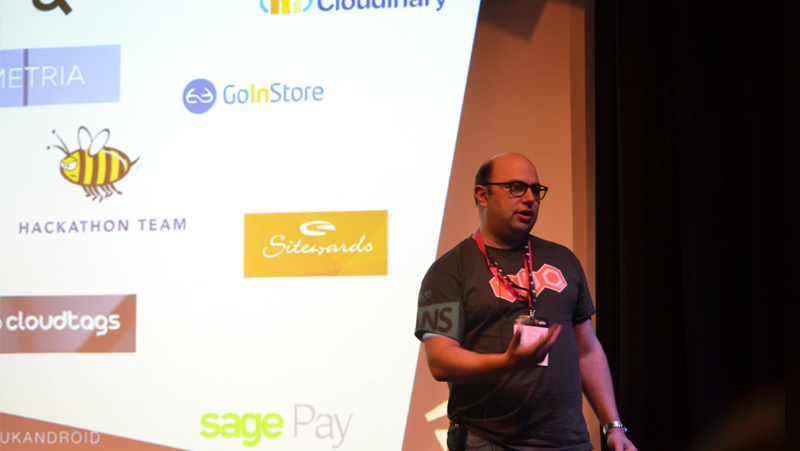 A company like Sage Pay needs to prioritise testing and security above all else and it was interesting learning how they work. One of the more fun talks of the day was delivered by Deutschland-dwelling Scotsman and Magento Developer, David Manners. He likened the learning experience of multiple Rugby injuries to learning from your mistakes in the world of web development. One of his key messages was to not be afraid to ask questions, and in particular direct them to Ben Marks (who is probably in the process of changing his email address). When you look at the evidence it’s hard to argue with any of those points. Magento 2 does have a better looking admin, and the system is much more upgradable and easier to extend. He acknowledged that the resources need some work, but at least they exist unlike Magento 1’s barren offering. 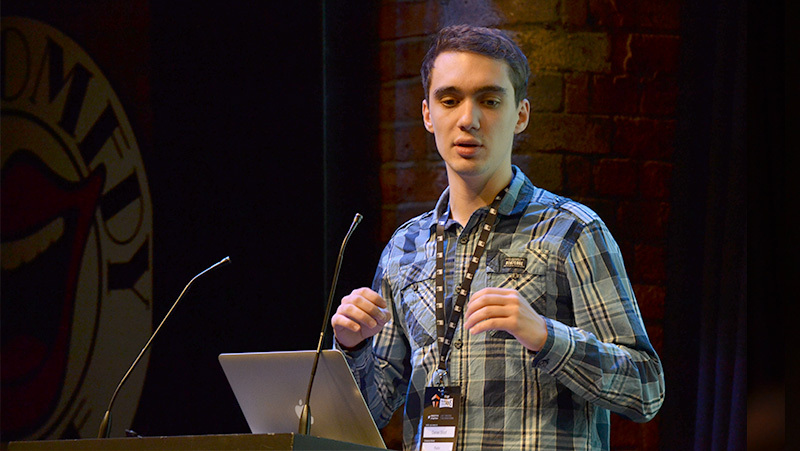 Former Magento 1 core developer Ivan Chepurnyi made a special appearance at MageTitans to talk about getting the best performance possible out of Magento without using cache. He introduced his custom-made layout compiler which can be found on GitHub. The presentation had more graphs than an Al Gore’s laptop, but it clearly demonstrated how Sphinx search can increase the performance of key pages significantly. One of my favourite talks of the day was given by Kimberley Thomas of Interactiv4, a Magento development agency in New York. I’m a huge fan of the agile methodology and it was interesting to see how other agencies use it for their project management. Kimberley is a big advocate of Jira and a process that is very close to scrum. I learned that your web development methodology has a big impact on the morale of your developers. Everybody wants the same thing out of a project: transparency, goals and accountability. Without this your projects can falter at every hurdle. Kimberley was asked about what happens when you run out of tasks in your sprint? Go to the pub, obviously. Due to other commitments we could only stay for a couple of drinks at the after party, so the real winner this year was my liver. You know what they say about 2nd albums or TV series – they’re never as good as the first. I’m happy to say MageTitans II did not suffer that fate and was equally as good as last year’s in terms of content, attendance and delivery so thanks again to everyone involved. I would have liked to see the panel segment again because that was a highlight last year, and if I could make one suggestion it’s that it would be cool to somehow get more audience participation / interaction.